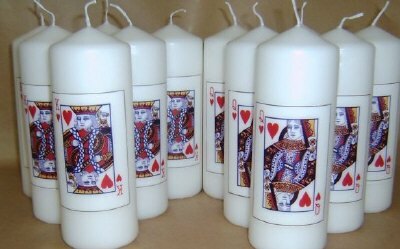 Pillar candles with playing cards on them. Choose card type and candle size from drop down boxes, click more images for examples. 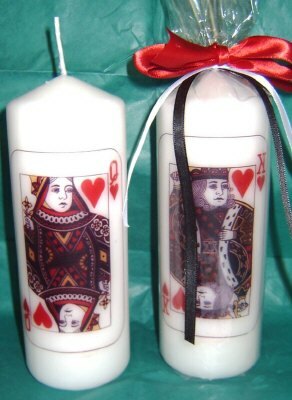 * All candles come gift wrapped as shown. 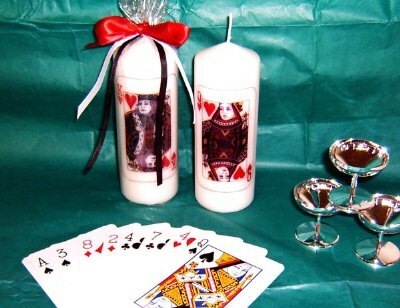 NB: we can put any playing card you like on your candle, if the card you want is not shown in the drop down box, add it on the comments box on your order submission. Or email for other combinations of your choice.